BinBot is a 3-in-1 smart waste disposal for recycling, compost, and landfill waste. 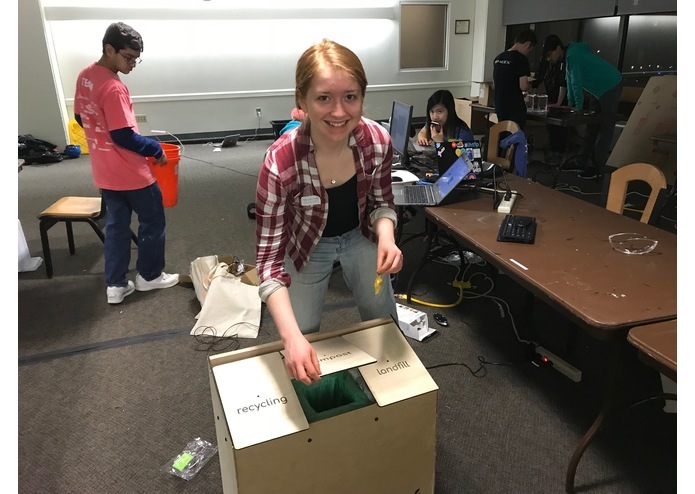 A week before one of MIT's largest hackathons, Emily visited the city of Calgary, which has taken the sustainable moves of introducing curbside composting, picking up curbside recycling and composting weekly, picking up curbside landfill only once every two weeks. A municipal app notifies households of different disposal schedules. Many Calgarians, though they support sustainable waste disposal, have complaints against the new system. Most rooms of households have only one waste disposal container ('the trash can'), so someone in the household has to sort through each room's trash can by hand. The household's children especially often make mistakes in sorting their waste into recycling, compost, and landfill. This has resulted in contamination of waste streams, frustration among users, and subversion of a well-meaning policy. BinBot is the new smart sustainable waste system. 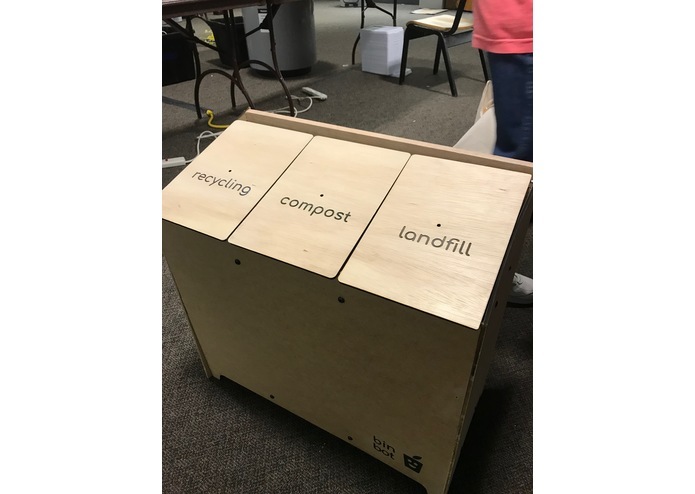 One unit includes sections for compost, recycling, and landfill waste. BinBot uses machine learning and a webcam to learn what household items should go into each section as it is used normally. When a user is unsure about where their waste should go, it uses its trained model and an LED to indicate the correct section. We are proud to join the MIT Sandbox Summer 2018 cohort. Bookmark this page and check out our website to stay updated! I designed and manufactured the device's hardware. I worked on making it user friendly, safe for children and perfectly integrated with our electronics. It was a CAD and machine shop marathon! I came up with the idea and product development. I also designed our really cool logo! I helped Marta build the physical prototype from product design to wood-cutting. This was my first hackathon, and it was amazing how much I learned about making in 19 hours! 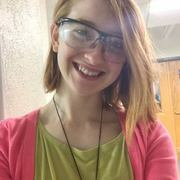 I am an environmental engineer at MIT, and a leader in sustainable interactions between people and the planet using science and innovation. I worked on the hardware end of things by writing Python code that integrated with Alyssa's ML code and controlled physical hardware elements like LEDs. This included rolling my own small driver to interface with the sysfs entries that control GPIO status. 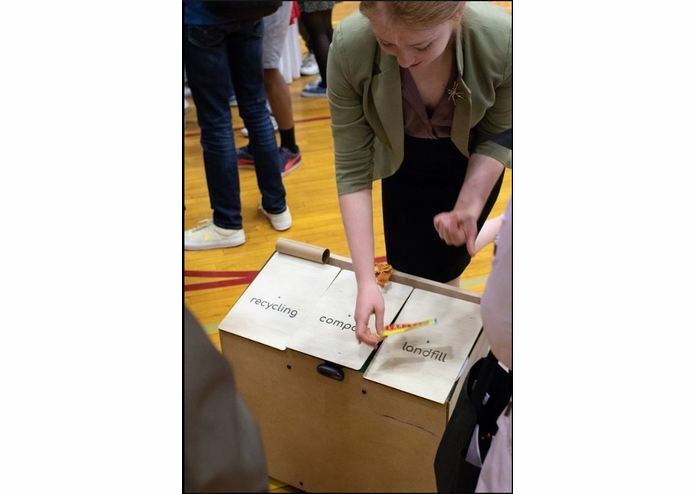 We are excited to have been invited to join MIT's Innovation World Fair tomorrow 11-1:30 at Du Pont Gymnasium, 120 Mass. Ave. If you are in the area, come check out our booth for cool demos and conversation with the team!